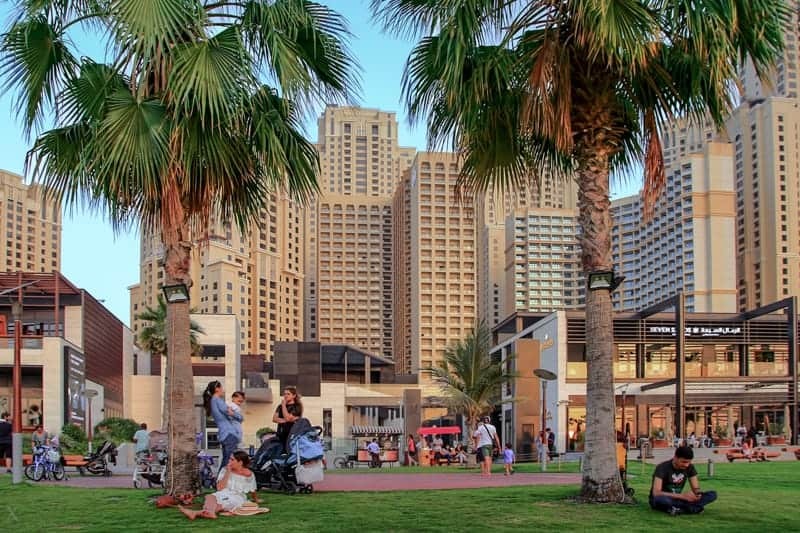 The Beach is a unique beachfront mall in the Jumeirah Beach Residence area of Dubai. 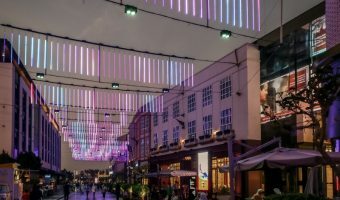 It’s a sleek and open-air mall with pedestrian walkways and low-rise buildings; quite unlike any of the other shopping centres in Dubai. The mall is heavily geared towards dining and leisure and boasts over 40 restaurants, a cinema, and a water park. The mall hosts a busy programme of events, activities, and entertainment. The best way to check out what’s on is to visit the official Facebook page (see information box below). The Beach is open every day of the week. Stores open 10 am to 10 pm (Sunday to Wednesday), and 10 am to midnight (Thursday to Saturday). Restaurants are open throughout the week until midnight. 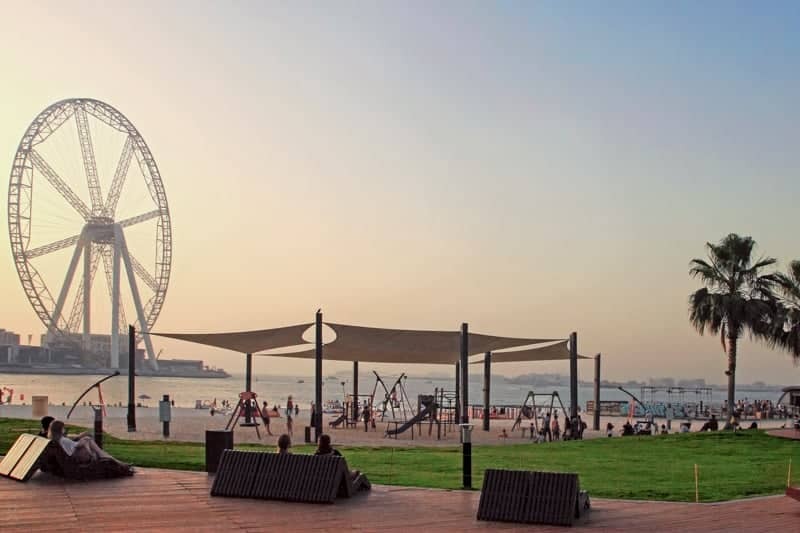 The Beach is situated on the beachfront at Jumeirah Beach Residence, between the Amwaj Rotana/Sheraton Jumeirah Beach Resort and the Hilton Dubai Jumeirah. 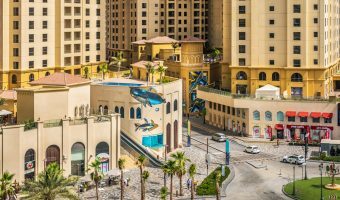 To reach it by Dubai Metro take a Red Line train to Jumeirah Lakes Towers Metro Station. 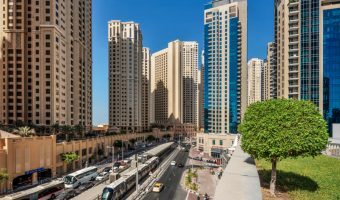 Walk through Dubai Marina to reach it or take the Dubai Tram from Jumeirah Lakes Towers Tram Station to Jumeirah Beach Residence 2 Tram Station. Map showing location of The Beach. 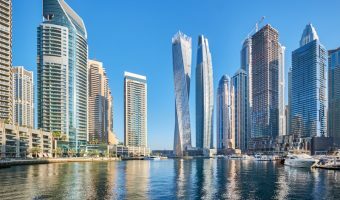 Dubai Marina is one of the most desirable areas in the city to live and vacation. Our guide includes information about places to stay, real estate, shops, things to do, and an interactive map. Tram station serving the northern end of Jumeirah Beach Residence/Dubai Marina. 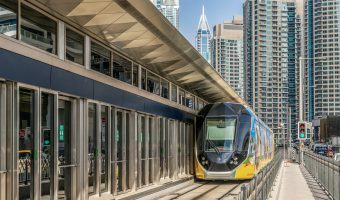 Tram station serving Jumeirah Beach Residence/Dubai Marina. 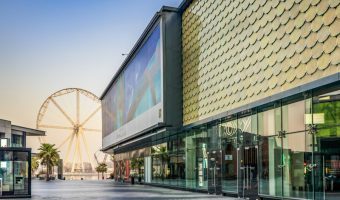 10-screen cinema at Jumeirah Beach Residence/Dubai Marina. View movie times. 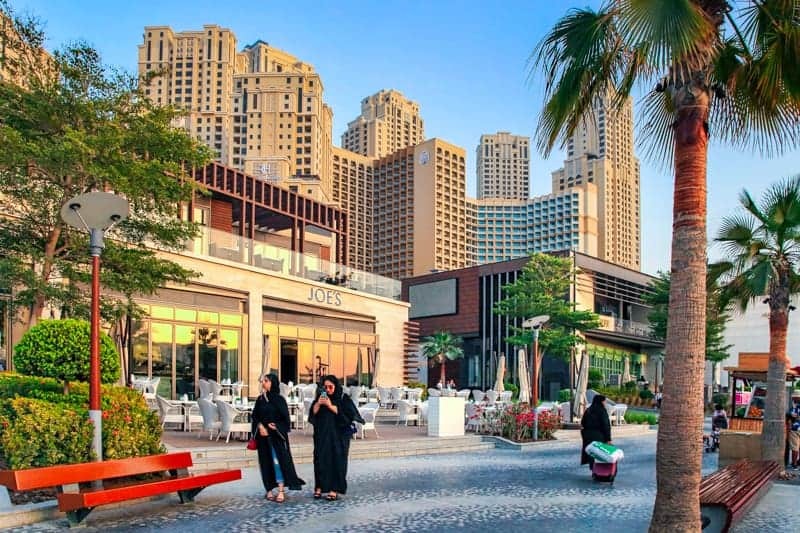 Shopping and dining promenade at Jumeirah Beach Residence/Dubai Marina. Urban development with shops, restaurants, a cinema, attractions, and residential apartments. 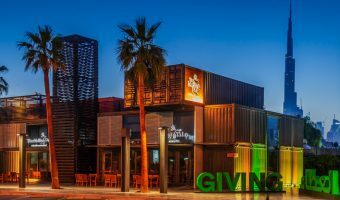 Shopping and leisure destination built with shipping containers.